Janka completed her 200-hour yoga teacher training with Stephanie Keach in 2005 in Asheville, NC and, in 2009, completed her 500-hour level with Mary Paffard in CA. Her style is also influenced by the teachings and practice of Angela Farmer and Vanda Scaravelli. 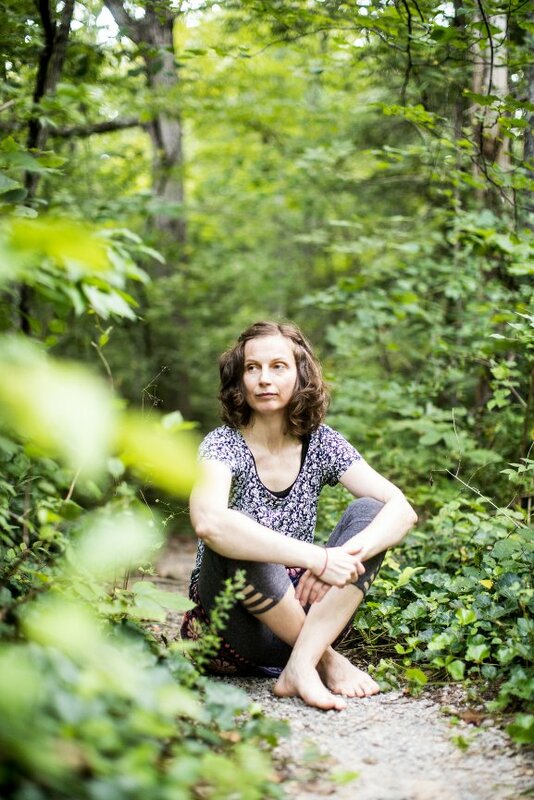 Janka is a graduate of the Somatic Movement Education training program at the Kinesthetic Learning Center, licensed by Bonnie Bainbridge Cohen and The School for Body-Mind Centering® and currently teaches Somatic Movement Class at her home studio in the town of Signal Mountain. I had been sitting zazen and reading Mahayana for several years before I met Janka, but I was still “not getting it.” I was able to discuss the ideas and beliefs, however that left me empty. I also went on several retreats. Janka Livoncova has been instrumental in my life as a student, with her authentic style of meditation teachings, and mindfulness skills. Her generous insight offers clarity and compassion to nourish the hungry heart. These valuable dharma teachings and offerings emerge from her own LIFE of practice of which she studies, applies and embodies. I enjoy being a part of a class or Group with Janka, one who is passionate about what she does; She is a rare gem. As my principal teacher, Janka has greatly informed my meditation and movement practices. Her instruction and knowledge of the body have been indispensable to my own growth as a teacher and practitioner. I had been studying and practicing the Dharma on my own for several years. I thought, “I’m a scientist, I can figure this out, right?” I had read repeatedly that having a teacher to help guide you is essential to development along the path; I have seen the benefits firsthand. We are so grateful to have Janka as a partner in our work here at the Center for Mindful Living. She understands and helps to manifest our mission to empower individuals to decrease their stress and increase their wellbeing. Her calm, accepting presence is a balm for those who walk through our doors and she has helped many in our community become less reactive to the vicissitudes of life, allowing them a more joy filled existence!